From experienced dancers to newbies, everyone is invited to an evening of rhythm, grooving and dancing under the stars. Dancers will kick-up their heels and pack Jack London Square for free dance lessons. 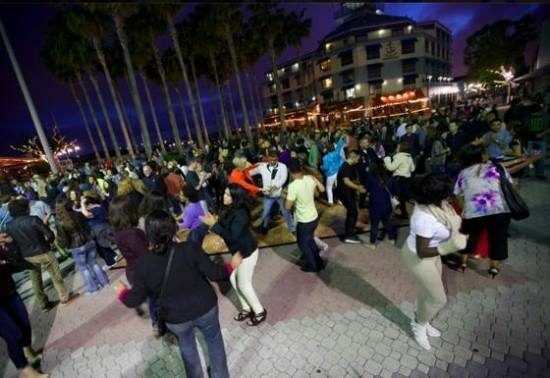 Every Friday night beginning at 7:30 pm, throughout the summer months, Jack London Square will host a 30-minute dance lesson (including Hip Hop, Bollywood, Polynesian, Salsa and more) taught by professional dance instructors Johnny Lopez and Carla Service. Each night will be followed by a mixed music dance party from 8-9 pm.